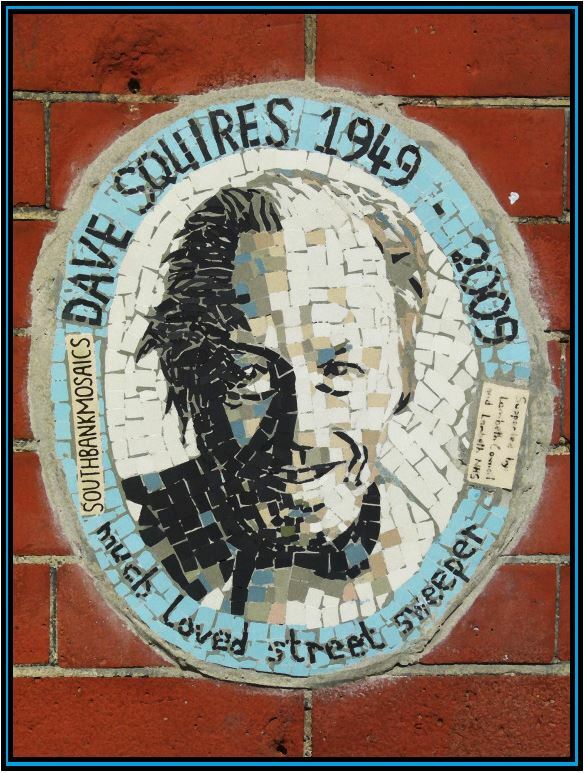 This memorial, which can be seen outside the Waterloo Action Centre on Baylis Road, is dedicated to Dave Squires, a popular road-sweeper who looked after the Lower Marsh area near Waterloo Station. Dave was aged just 60 when he died. Thanks for the kind words. The text is designed to be read against a black background but I’m aware it appears against a white backdrop when appearing via email which is very hard on the eyes. I am currently thinking about a redesign!